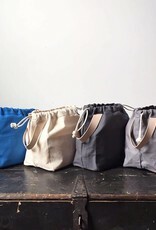 Looks count, and this one is pretty stunning in sturdy 10 oz cotton canvas with a vegetable-tanned leather carry loop, which will age to a beautiful golden brown. But functionality rules the day. 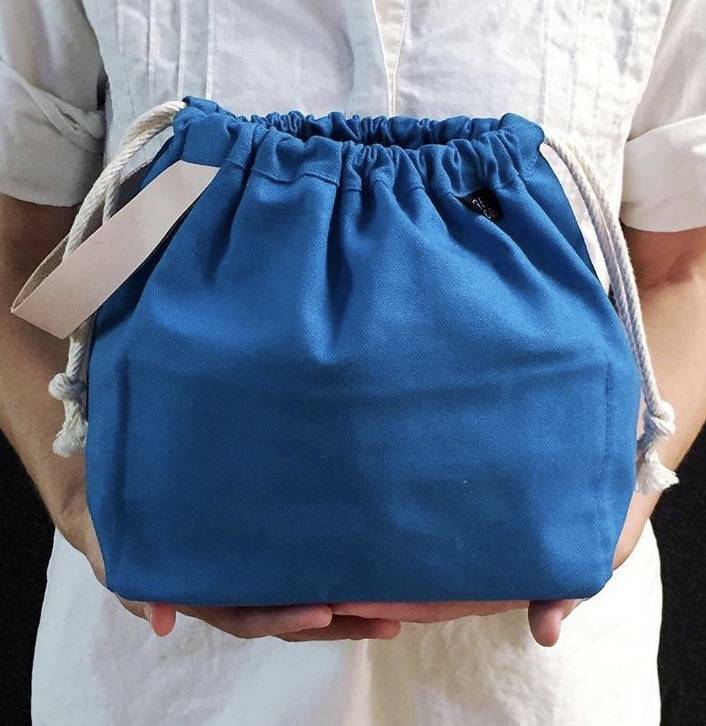 This bag is designed to stand up, with a wide-open mouth. 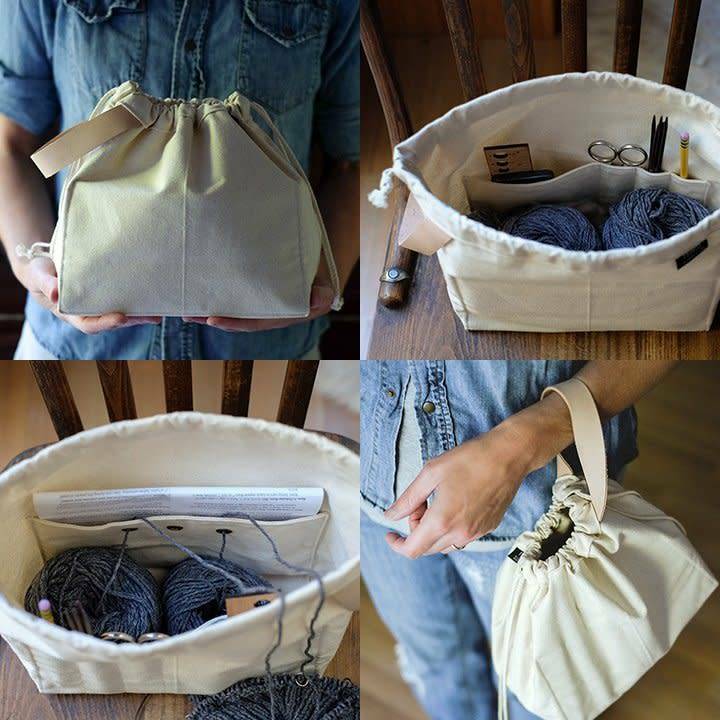 There is ample room for your yarn and knitting. 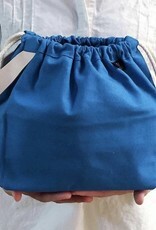 And there are pockets! 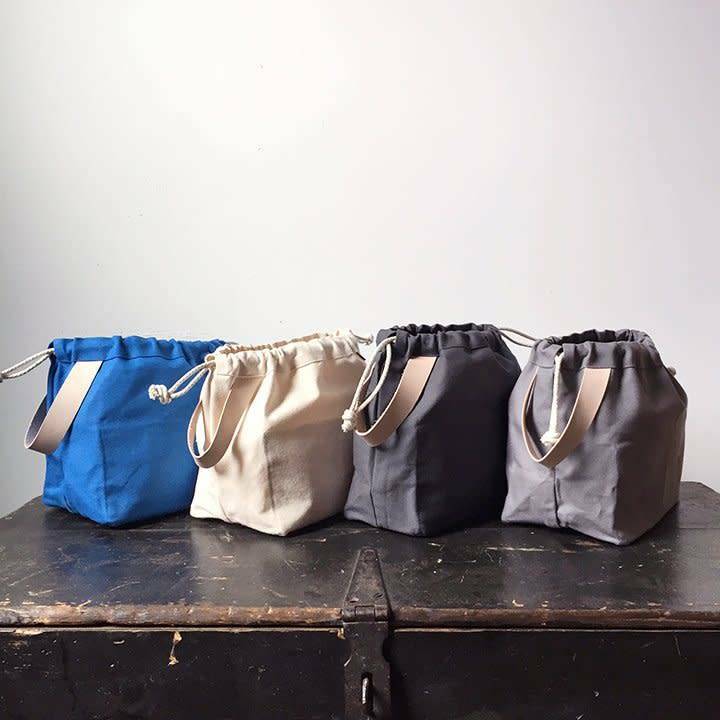 On one interior wall is a panel divided into one medium-sized pocket (perfect for your phone and/or small notebook) and three narrow pockets for needles, tools or writing implements. On the opposite interior wall is one long pocket, sized to hold a folded pattern. That pocket is also punctuated by three smooth antiqued grommets for those times when you're working from multiple balls and could use a little help keeping them untangled. Whether you're alternating skeins or doing colour work, simply run the yarns up through the guides and they'll keep you nice and tidy. 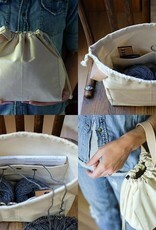 As will everything else about this beautifully made bag!